You know the saying, “You only get one shot at a first impression.” This could not be more true. It has been proven that people form impressions of others in as little as a fraction of a second. These impressions can be positive or negative, helpful or detrimental. When it comes to first impressions in an interview setting, you want to do all that you can to help yourself. So what can you do? DRESS APPROPRIATELY. This should be a given. While some companies do not min d the casual look, and you may be applying to work in an office that does not require business attire, you should step up your wardrobe choice to make a good first impression. Dress to impress, and consider more than just the clothes you choose. Shoes, handbags, jewelry, piercings, makeup and even fragrances should all be considered when getting ready to go on an interview. All of these can impact a first impression. THINK ABOUT YOUR NONVERBALS. This includes facial expressions, posture and gestures. Around 50% of all communication during an interview is nonverbal. A firm handshake can speak volumes about a person. Paying attention to your posture while sitting and your eye contact while talking and listening can make a huge difference. Be mindful of your body language! SHOW UP ON TIME. Again, this should be a given. Show up on time and ready to go. Give yourself plenty of travel time and time for any inconveniences that may occur such as traffic. Be there a little early, but not too early. 10-15 minutes is usually a good window. BRING THE RIGHT PROPS. Bring copies of your resume as well as a pen and something to write on. Also, bring examples of your work. Having evidence of a job well done is always a plus. Last, bring letters of recommendation or a reference sheet. Make sure that you have asked those individuals to be references for you, but having that to give to the hiring manager can set you apart. TURN OFF YOUR PHONE. 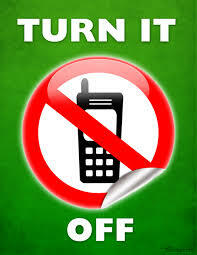 Nothing is more unprofessional than a phone that is beeping from texts or emails or even worse a phone call. BE PREPARED. You can find almost anything you need to know about a company online. Do your research! Find out as much as you can about the business and the position you are applying for. In addition to finding out about the company, research the individual or individuals you will be meeting with – google their name, look them up on LinkedIn or even Facebook. Maybe you have something in common like you went to the same university, or you noticed their love of animals; you can bring it up at an appropriate time during the interview. The more you know, the more you will stand out. CONVEY YOUR INTEREST. Your research will help you develop insightful questions. Hiring managers want candidates that are interested in the job at hand and want to know more about it. Asking questions is a good way to make an impression and express your interest in the position. FOLLOW UP. A follow up reiterates your interest and shows that you are appreciative for being considered for the position. It also gives you the opportunity to ask for a timeline for the hiring process. The way in which you follow up should be catered to the organization you interviewed with. More traditional companies may appreciate a handwritten thank you note while faster-paced companies appreciate an email. This is really a judgment call, but however you choose to do it, be sure to follow-up!